This paper presents an action decision framework for an autonomous mobile robot or an unmanned ground vehicle (UGV) to navigate an unknown environment. It is difficult for a UGV without global map information to decide which path to travel when it comes to a fork. However, locally observed terrain features can enable the UGV if it can utilize its past experience. The proposed path selection method utilizes correlations between features of the local terrain obtained by its laser range finder and the values of paths obtained through offline simulation using global path planning. During navigation, the UGV estimates the values of each path at a fork based on the correlation between the terrain feature and the value. It was confirmed that the proposed method allows the selection of paths that are more effective compared with a simple path selection strategy with which the UGV selects the closer path to the goal. The proposed method was evaluated in both a simulated environment and a real outdoor environment. Y. Kobayashi, M. Kondo, Y. Hiramatsu, H. Fujii, and T. Kamiya, “Mobile Robot Decision-Making Based on Offline Simulation for Navigation over Uneven Terrain,” J. Robot. Mechatron., Vol.30, No.4, pp. 671-682, 2018. D. Caltabiano, G. Muscato, and F. Russo, “Localization and Self-calibration of a Robot for Volcano Exploration,” Proc. of IEEE Int. Conf. on Robotics and Automation, Vol.1, pp. 586-591, 2004. K. Nagatani, “Recent Trends and Issues of Volcanic Disaster Response with Mobile Robots,” J. Robot. Mechatron., Vol.26, No.4, pp. 436-441, 2014. J. Carsten, A. Rankin, D. Ferguson, and A. Stentz, “Global Planning on the Mars Exploration Rovers: Software Integration and Surface Testing,” J. of Field Robotics, Vol.26, No.4, pp. 337-357, 2009. P. Tompkins, A. T. Stentz, and D. Wettergreen, “Mission-level path planning and re-planning for rover exploration,” Robotics and Autonomous Systems, Vol.54, No.2, pp. 174-183, 2006. 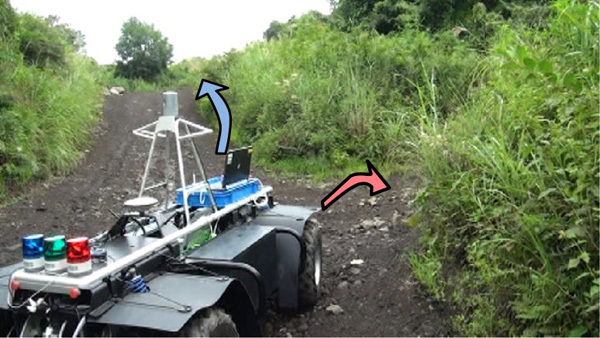 K. Kurashiki, T. Fukao, T. Hukao, K. Ishiyama, T. Kamiya, and N. Murakami, “Orchard Traveling UGV Using Particle Filter Based Localization and Inverse Optimal Control,” Proc. of IEEE/SICE Int. Symp. on System Integration, pp. 31-36, 2010. S. Zhou, J. Xi, M. W. McDaniel, T. Nishihata, P. Salesses, and K. Iagnemma, “Self-supervised Learning to Visually Detect Terrain Surfaces for Autonomous Robots Operating in Forested Terrain,” J. of Field Robotics, Vol.29, pp. 277-297, 2012. S. Fish, “UGVs in Future Combat Systems,” Proc. of SPIE Unmanned Ground Vehicle Technology VI, pp. 288-291, 2004. Y. Fukuoka, K. Hoshi, and R. Kurosawa, “Negotiating Uneven Terrain with a Compliant Designed Unmanned Ground Vehicle Equipped with Locomotive Master-Slave Operation,” Proc. 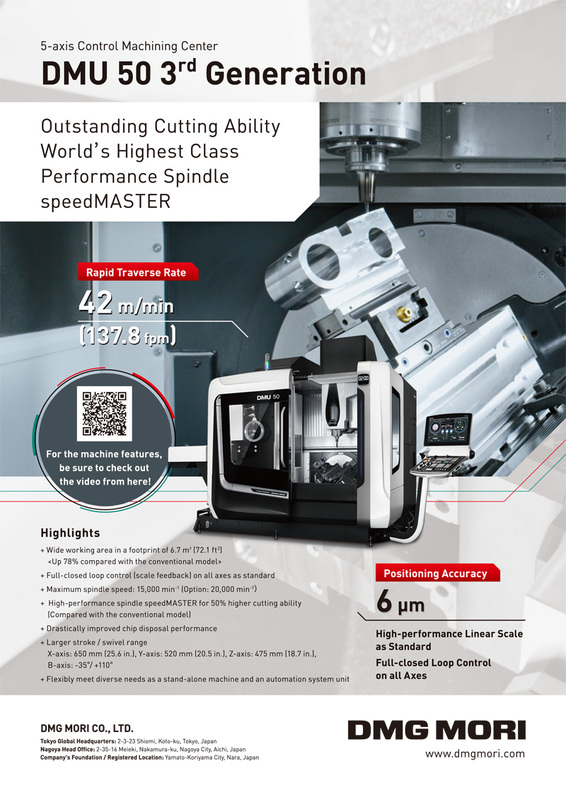 of SPIE Conf. on Unmanned Systems Technology VI, pp. 288-291, 2004. K. Zhao and Y. Li, “Path Planning in Large-Scale Indoor Environment Using RRT,” Proc. of 32nd Chinese Control Conf., pp. 5993-5998, 2013. B. Yamauchi, “Autonomous Urban Reconnaissance Using Man-portable UGVs,” Proc. of SPIE Conf. on Unmanned Systems Technology VIII, 2006. T. Braun, H. Schaefer, and K. Berns, “Topological Large-scale Off-road Navigation and Exploration RAVON at the European Land Robot Trial 2008,” Proc. of IEEE/RSJ Int. Conf. on Intelligent Robots and Systems, pp. 4378-4392, 2009. M. Awai, A. Yamashita, T. Shimizu, T. Kaneko, Y. Kobayashi, and H. Asama, “Development of Mobile Robot System Equipped with Camera and Laser Range Finder Realizing HOG-Based Person Following and Autonomous Returning,” J. Robot. Mechatron., Vol.26, No.1, pp. 68-77, 2014. C. Urmson, et al., “Autonomous driving in urban environments: Boss and the urban challenge,” J. of Field Robotics Special Issue on the 2007 DARPA Urban Challenge, Part I, Vol.25, No.8, pp. 425-466, 2008. P. E. Ross, “Self-driving Cars Real-World Safety Tested And Found Okay,” IEEE Spectrum, 2015. A. Barr and M. Ramsey, “Google Tries to Make Its Cars Drive More Like Humans,” The Wall Street J., 2015. S. Thrun, et al., “Stanley: The Robot that Won the DARPA Grand Challenge,” J. of Field Robotics, Vol.23, pp. 661-692, 2006. M. Montemerlo, et al., “Junior: The Stanford Entry in the Urban Challenge,” J. of Field Robotics, Vol.25, No.9, pp. 569-597, 2008. J. Petereit, T. Emter, C. W. Frey, T. Kopfstedt, and A. Beutel, “Application of Hybrid A* to an Autonomous Mobile Robot for Path Planning in Unstructured Outdoor Environments,” ROBOTIK 2012; 7th German Conf. on Robotics, pp. 1-6, 2012. D. Ferguson and A. Stentz, “Using interpolation to improve path planning: The Field D* algorithm,” J. of Field Robotics, Vol.23, No.2, pp. 79-101, 2006. M. Pivtoraiko, R. A. Knepper, and A. Kelly, “Differentially constrained mobile robot motion planning in state lattices,” J. of Field Robotics, Vol.26, No.3, pp. 308-333, 2009. A. Stentz, “Optimal and efficient path planning for partially-known environments,” Robotics and Automation, Proc. 1994 IEEE Int. Conf. on Robotics and Automation, pp. 3310-3317, 1994. M. Montemerlo, S. Thrun, D. Koller, and B. Wegbreit, “Fastslam: A factored solution to the simultaneous localization and mapping problem,” Proc. of the AAAI National Conf. on Artificial Intelligence, pp. 593-598, 2002. Y. Toda, N. Kubota, and N. Baba, “Intelligent Planning Based on Multi-resolution Map for Simultaneous Localization and Mapping,” Proc. of 2011 IEEE Workshop on Robotic Intelligence In Informationally Structured Space, pp. 144-150, 2011. T. Saitoh, M. Sanpei, and Y. Kuroda, “Effective Strategy for Autonomous Navigation without Prior Knowledge in FastSLAM,” Proc. of 2009 IEEE Workshop on Robotic Intelligence in Informationally Structured Space, 2009. C. Stachniss, G. Grisetti, and W. Burgard, “Information gain-based exploration using rao-blackwellized particle filters,” Robotics: Science and Systems, pp. 65-72, 2005. M. Kondo, K. Sunaga, Y. Kobayashi, T. Kaneko, Y. Hiramatsu, H. Fujii, and T. Kamiya, “Path Selection Based on Local Terrain Feature for Unmanned Ground Vehicle in Unknown Rough Terrain Environment,” Proc. of IEEE Int. Conf. on Robotics and Biomimetics, pp. 1977-1982, 2013. J. A. Bagnell, D. M. Bradley, D. Silver, B. Sofman, and A. Stentz, “Learning for autonomous navigation,” IEEE Robot. Automat. Mag., Vol.17, No.2, pp. 74-84, 2010. N. Ratliff, D. Silver, and J. A. D. Bagnell, “Learning to search: Functional gradient techniques for imitation learning,” Autonomous Robots, Vol.27, No.1, pp. 25-53, 2009. R. Hadsell, P. Sermanet, J. Ben, A. Erkan, M. Scoffier, K. Kavukcuoglu, U. Muller, and Y. LeCun, “Learning long-range vision for autonomous off-road driving,” J. Field Robot., Vol.26, No.2, pp. 120-144, 2009. R. Siegwart and I. R. Nourbakhsh, “Introduction to Autonomous Mobile Robots,” MIT Press, 2004. J. Moody and C. J. Darken, “Fast Learning in networks of locally tuned processing units,” Neural Computation, Vol.1, No.2, pp. 281-294, 1989. C. Rasmussen and C. Williams, “Gaussian Processes for Machine Learning,” MIT Press, 2006. W. Härdle and L. Simar, “Applied Multivariate Statistical Analysis,” Springer, 2012. L. Wei and F. Xu, “Local CCA alignment and its applications,” Neural Computation, Vol.89, pp. 78-88, 2012. M. Kato, Y. Kobayashi, and S. Hosoe, “Optimizing resolution for feature extraction in robotic motion learning,” Proc. of 2005 IEEE Int. Conf. on Systems, Man and Cybernetics, pp. 1086-1091, 2005. T. Okamoto, Y. Kobayashi, and M. Onishi, “Generation of Obstacle Avoidance Based on Image Features and Embodiment,” Int. J. of Robotics and Automation, Vol.27, No.4, pp. 364-376, 2012. V. Vapnik, “Statistical Learning Theory,” Wiley-Interscience, 1998. T. I. Fossen, “Marine Control Systems: Guidance, Navigation and Control of Ships, Rigs and Underwater Vehicles,” Marine Cybernetics, 2002.